Concarneau, 3 houses on one level - capacity 6 people each - Logement 1850189 "Mer"
Located at the end of a dead end in a green setting, the 3 pavilions was built specifically for vacationers looking for comfort and calm. We equipped them as if we were to live there. Microwave oven and electric oven, induction hob, dishwasher, washing machine, refrigerator with freezer compartment, filter coffee maker + coffee maker, toaster, hair dryer, vacuum cleaner, flat screen TV with reception satellite. 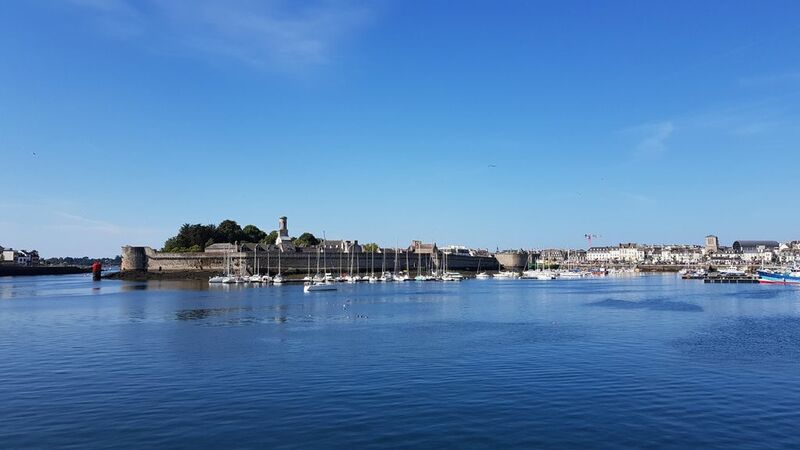 This accommodation is an ideal base to visit Concarneau and the surrounding area: Quimper, Bénodet, Port La Forêt, Locronan, Pont-Aven ... the Glénan Islands. Activities for young and old during the summer: beaches, fishing on foot, swimming pool, tennis, sailing, walks, diving, sea fishing, thalassotherapy. Visits: closed city, fishing museum, Marinarium. Festival of Blue Nets from August 15th to 19th, 2018. Weekly rental from Saturday to Saturday.